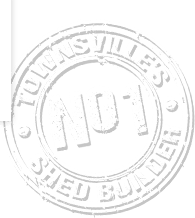 When building with Garage World Townsville, we look after the whole job, starting with your council application, slab and construction, right through to the final inspection stage. We take pride in ensuring you are looked after throughout your whole project. When it comes to something as important as building, it's hard to overestimate the value of a turn key service. 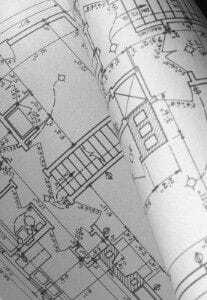 What is a turn key service? Put simply, a turn key service handles all aspects of a building project, from design to project management to construction. We at Garage World are dedicated to building strong and building right, and we've found the best way to do that is to provide support through every step of the construction process. From secure storage sheds to sports facilities and everything in between, we make sure we're there from the initial design phase up until the project is completed. This means ensuring that the building meets site requirements and local regulations, as well as assisting with obtaining permits and approvals. Garage World is also committed to supplying only the best workers and materials, sourcing locally for both in order to support the communities in which we operate. Having one company involved with your building project from beginning to end comes with many benefits. First and foremost, working with Garage World means doing away with the stress and time-consumption that comes from working with multiple organisations for different steps in the building process. Affordability is another factor, as we provide fixed-price contracts that allow you to know what the expense will be for all services right at the beginning. Finally, the confusion that can come with working with different building companies is a non-issue, as you'll only be dealing with us from design to construction. This will allow you to stay informed of the progress of your job every step of the way. From residential garages and patios to large commercial and industrial sheds, Garage World is here to provide you with quality work at an affordable price. Contact Garage World Townsville today to see design examples or apply online now for a free quote.